Earth Day is on Monday, April 22, and Earth Week this year is Sunday through Saturday, April 21-27. 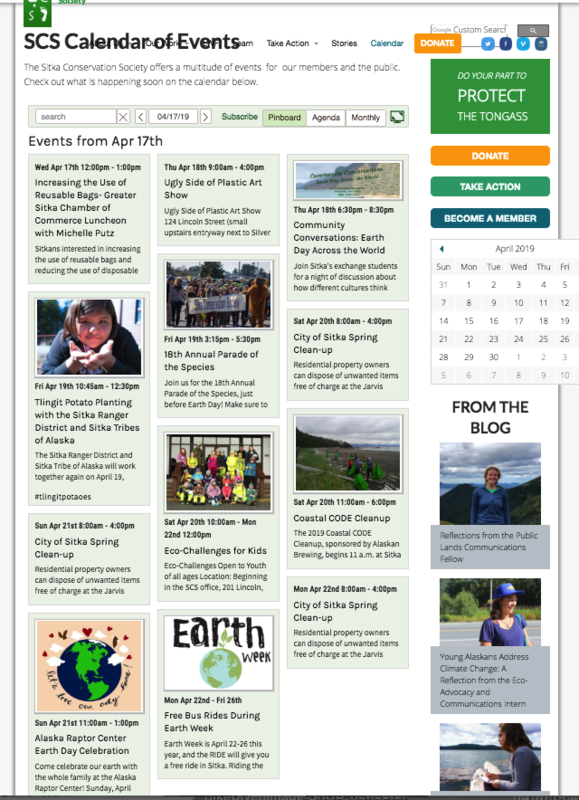 Sitka will host a variety of activities for Earth Week, including a couple of spring clean-up events, a couple of gardening classes, free bus rides, a herring potluck, and the 18th annual Earth Day Parade of the Species. For a calendar link to the events list, click here. 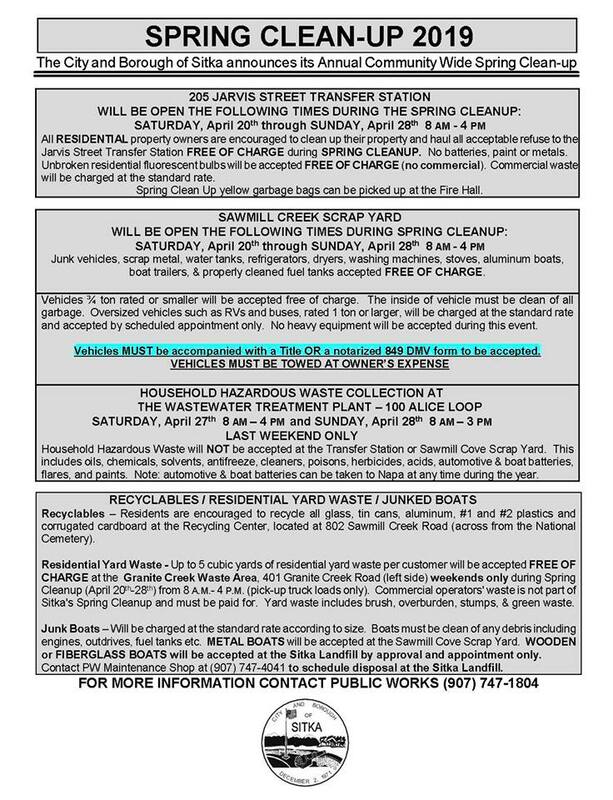 There is a community-wide spring clean-up event from April 20-28, when people can bring in a variety of large items and hazardous materials to the transfer station and the Sawmill Cove Scrap Yard (hazardous materials are only accepted April 27-28). This event is hosted by the City and Borough of Sitka Public Works Department. The RIDE public transit in Sitka will offer free bus rides again this year during Earth Week (April 22-26). This has been a yearly offering from the RIDE, which is operated by a partnership between Sitka Tribe of Alaska and the nonprofit Center for Community. Exchange students in Sitka will take part in Community Conversations About Earth Day, from 6:30-8:30 p.m. on Thursday, April 18, at the Sheet’ká Kwáan Naa Kahídi. 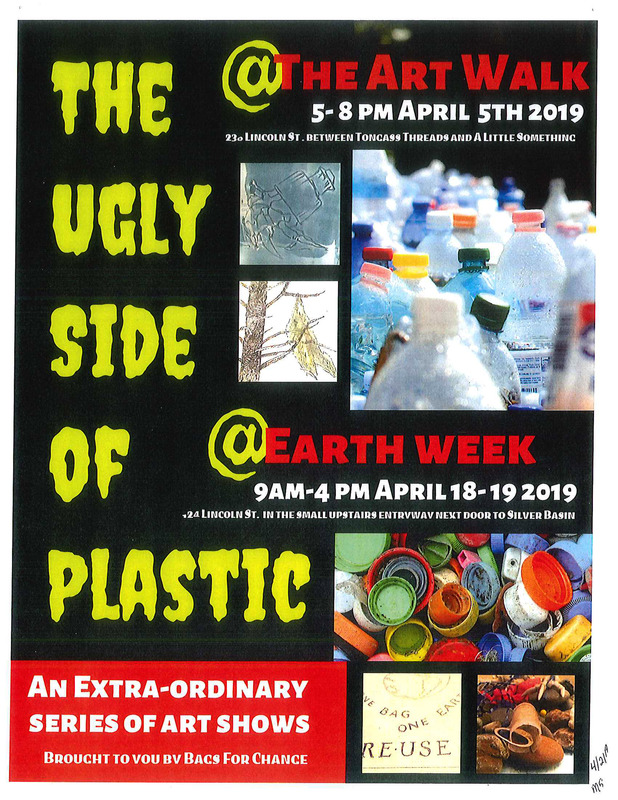 The Ugly Side of Plastic art show takes place from 9 a.m. to 4 p.m. on April 18-19 at 124 Lincoln Street, in the small upstairs entryway next to The Silver Basin store. There is a Tlingít potato workshop from 10:45 a.m. to 12:30 p.m. on Friday, April 19, hosted by the U.S. Forest Service Sitka Ranger District and Sitka Tribe of Alaska. This event takes place at the Sitka Ranger District office, 2108 Halibut Point Road. 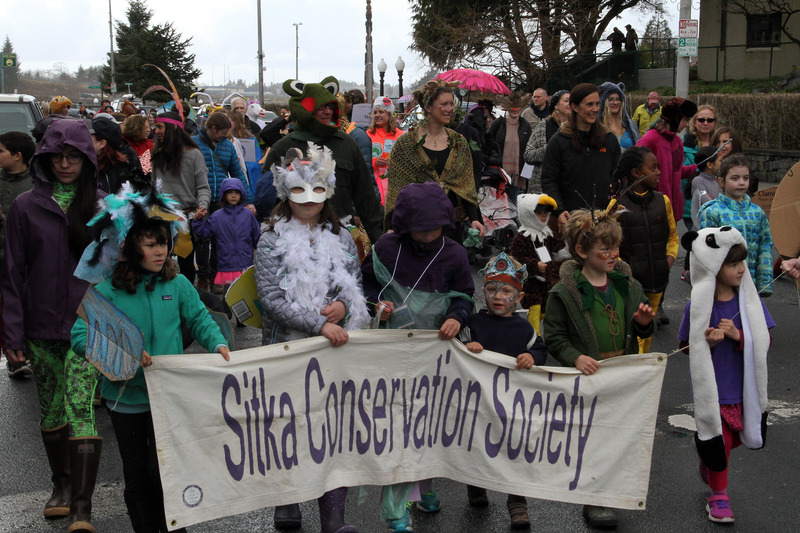 The 18th annual Parade of Species, hosted by the Sitka Conservation Society, is on Friday, April 19. Parade participants are invited to dress as their favorite animal or plant and gallop, slither, swim, or fly with us. 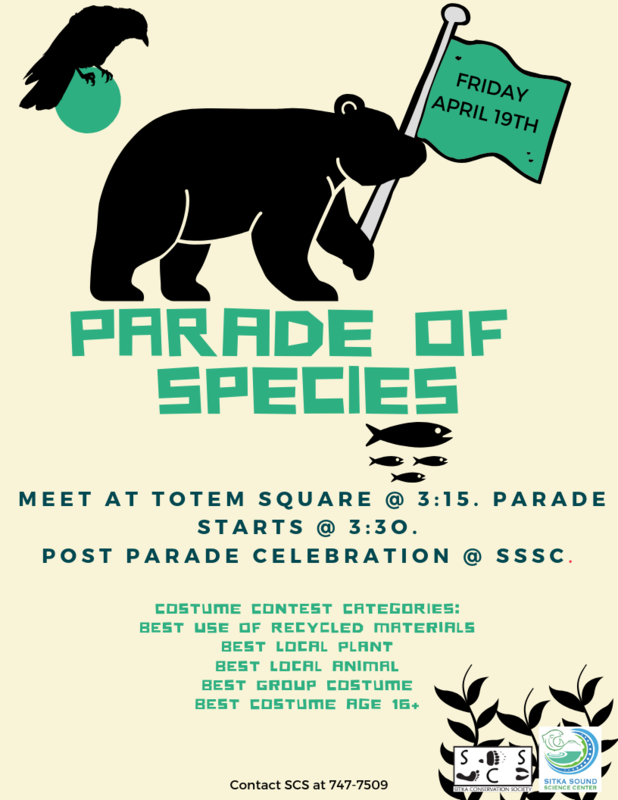 We will meet in Totem Square at 3:15 p.m. and parade down Lincoln Street to the Sitka Sound Science Center starting at 3:30 p.m. There will be a number of community organizations with hands-on Earth Day inspired activities for the whole family from 3:30-5:30 p.m. after the parade. Prizes will be awarded for Best Use of Recycled Material, Most Realistic, Best Local Plant, Best Local Animal, Best Group Costume, and Best Costume Age 18-plus. For more information, contact Claire Sanchez at claire@sitkawild.org or call 747-7509. Click this link for a slideshow of scenes from the 2018 Parade of the Species. Sitka National Historical Park and Sitka Sound Science Center are hosting an Eco-Challenges event for youth of all ages from 10 a.m. to noon on Saturday, April 20, starting at the Sitka Conservation Society office above Old Harbor Books. Alaskan Brewing Company will sponsor a Coastal CODE Cleanup from 11 a.m. to 6 p.m. on Saturday, April 20, meeting at the Sitka Sound Science Center. There is a barbecue at 4 p.m. for all participants. The Alaska Raptor Center will host an Earth Day celebration for the whole family from 11 a.m. to 1 p.m. on Sunday, April 21, at the Alaska Raptor Center. Keet Gooshi Heen Elementary School and Sitka Conservation Society will host a “We Love Our Fisherfolk” lunch from 11 a.m. to 1:30 p.m. on Wednesday, April 24, at the school. Finally, at 7:30 p.m. on Tuesday, April 30, in Room 229 at the University of Alaska Southeast Sitka Campus, there will be a Natural History Seminar on Sitka’s Landslide Warning System. Future landslide geology studies and the related social science research on developing a landslide warning system unique to Sitka will be addressed. For more information, contact Cora Siebert at 747-8878, extension 11. A mystery has taken place at Sitka Sound Science Center, and we need Sitka’s youth sleuths to help us solve the caper. Crack the case by using investigative techniques to eliminate suspects and earn your very own Eco-Discovery button upon completion of the investigation. Students can help solve these cases by joining the fun from 10 a.m. to noon on Friday, March 1, at the Sitka Sound Science Center (Note: this is a teacher in-service day, so no school). This month’s case is “The Case of the Lucky Herring.” Students will help solve the mystery of what it takes to get a herring from an egg to an adult. The Eco-Discovery series is hosted by the Sitka Sound Science Center and the Sitka National Historical Park. The series, which is offered free to the public, is designed for youth from kindergarten through sixth grade, and is self-paced. On average it takes participants between 30-45 minutes to complete the program. Youth participants must be accompanied by an adult. For more information about the Eco-Discovery series, contact Kristina Tirman at 747-8878 or ktirman@sitkascience.org. Registration is now open for summer camp at the Sitka Sound Science Center. Summer camps are an important part of the Sitka Sound Science Center’s mission for increasing understanding and awareness of Sitka’s ecosystems. Throughout the year, its educational programs offer many opportunities for emerging scientists of all ages to join the scientific community. During the summer, the camps promise to be some of the most fun and adventurous experiences for being involved in science. The Sitka Sound Science Center partners with organizations across the community — including Sitka Conservation Society, Sitka Fine Arts Camp, National Park Service (Sitka National Historical Park), U.S. Coast Guard (Air Station Sitka), U.S. Forest Service(Tongass National Forest–Sitka Ranger District), and the Sitka Tribe of Alaska — to take advantage of professional expertise in natural sciences, technology, engineering and culture. 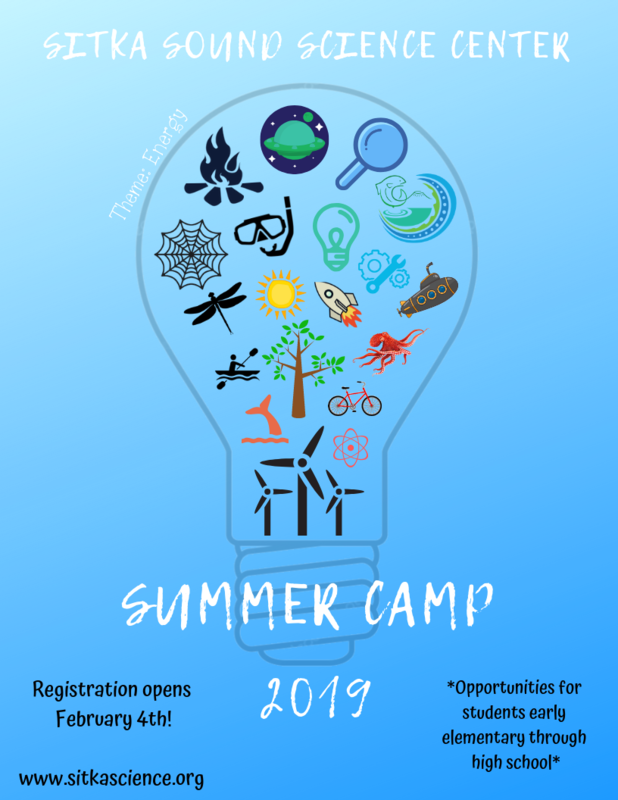 The theme for this summer’s camps is “energy.” Whether it is a first-grader exploring solar energy or a sixth-grader looking at motion machines, all the summer camps emphasize building strong science foundations in an engaging, active manner that celebrates exploration and tinkering. You can review the classes at http://www.sitkascience.org/alpha/education/education-programs/summer-camps/ or click the camp descriptions link below. The Sitka Sound Science Center offers week-long camps during eight weeks of the summer months. While topics and ages range vary from week to week, all camps are age appropriate, richly experiential, outdoor and community exploratory, and project-based. Each camp session includes 3-5 scientists and educators with 10-20 campers. Community partners ensure engaging field trips and activities. Camps end with a culminating presentation or activity open to the community. Registration is available online at www.sitkascience.org or in-person at the Science Center. For more information about summer camps, contact Kristina Tirman at ktirman@sitkascience.org or or 747-8878, Ext. 3, or visit our website. 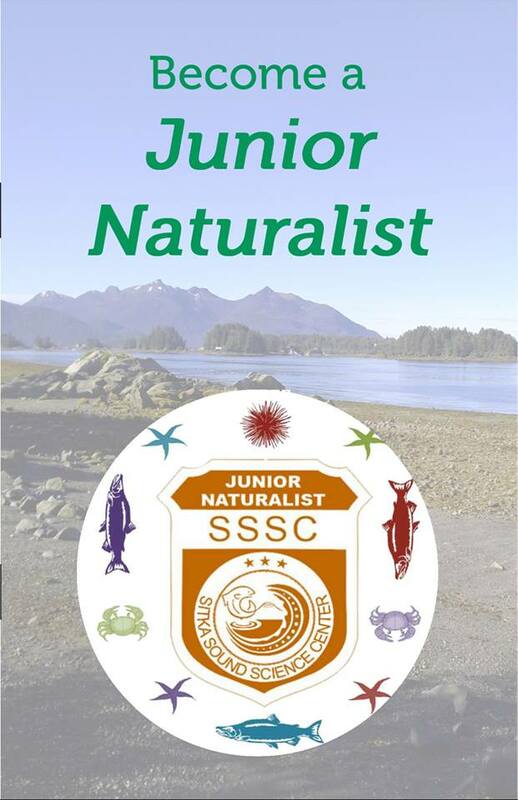 If you are looking for something to do on this beautiful, cold Saturday, come down to the Sitka Sound Science Center with the kids to take part in our re-vamped Junior Naturalist program. The SSSC is open from 10 a.m. to 3 p.m. on Saturdays during the winter. Kids will take an exploratory look deeper into the world around us. Once all tasks are complete, they will earn a Junior Naturalist badge. This program is designed for grades 2-up, and free with your admission. Younger kids can try it with parental help. The tasks generally take about an hour, give or take a few minutes. 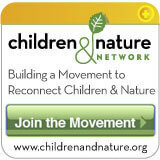 The program is relaunching on Feb. 2, but is available year-round. For more information, Sandy McClung at 747-8878, Ext. 1, or smcclung@sitkascience.org. 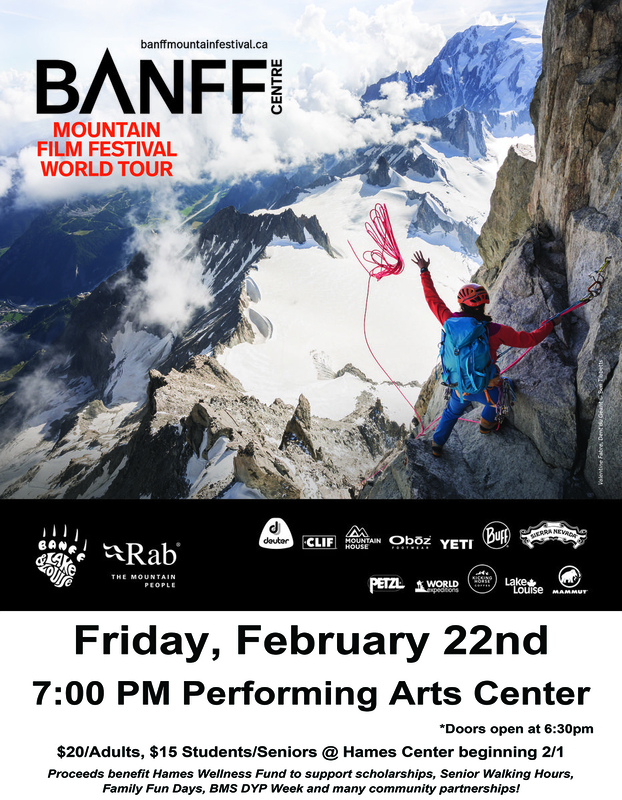 The Banff Mountain Film and Book Festival will make a stop on Friday, Feb. 22, in Sitka as part of its annual world tour, and tickets are available now at the Hames Athletic and Wellness Center, and tickets will go on sale about two weeks before the show at Old Harbor Books. The Sitka screening takes place at 7 p.m. on Feb. 22 at the Sitka Performing Arts Center. Tickets are $20 for adults and $15 for students and seniors. There will be a variety of door prizes given away after the screening. This year’s films will raise money to benefit the Hames Wellness Fund, which support scholarships, senior walking hours, family fund days, BMS DYP Week, and many community partnerships. Each year, the Banff Mountain Film and Book Festival celebrates life in the outdoors with a nine-day festival (Oct. 26-Nov. 3, 2019) at the Banff Centre for Arts and Creativity in Banff, Alberta, Canada, featuring a series of short films, books and other media. Films may feature kayaking, mountain biking, hiking, wingsuit flying, rock climbing, mountaineering, skiing, surfing, fishing, and a variety of other outdoor activities. With stops planned in about 550 communities and more than 40 countries across the globe, this year’s tour features a collection of the most inspiring action, environmental, and adventure films from the festival. From approximately 400 films entered into the annual festival, a variety award-winning films and audience favorites are among the films chosen to travel the globe. During the world tour, a selection of the films is shown in each community, with a different set of films shown in each participating community. The world tour allows local communities to use the films as fundraisers, and the tour has made several stops in Sitka in the past. Follow Sitka BANFF Film Festival 2019 to stay up-to-date with sneak peaks. 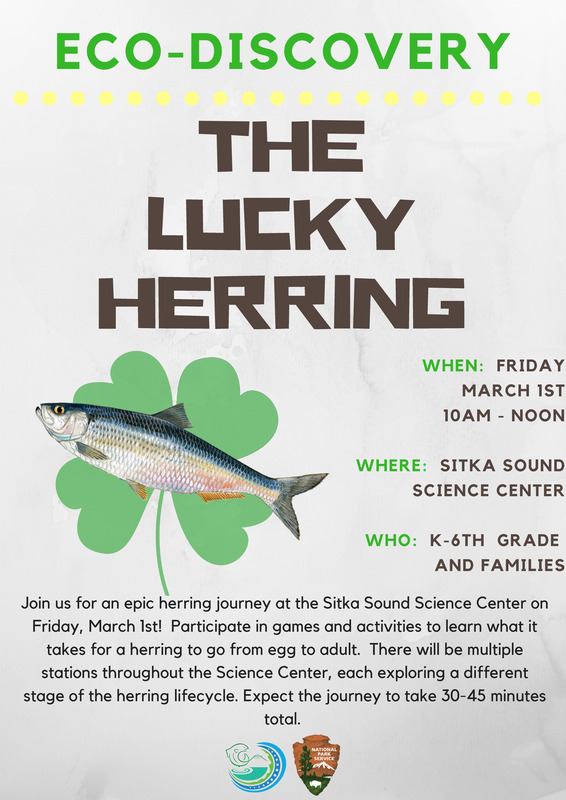 A mystery has taken place at Sitka Sound Science Center, and we need Sitka’s youth sleuths to help us solve the caper. Crack the case by using investigative techniques to eliminate suspects and earn your very own Eco-Detectives button upon completion of the investigation. 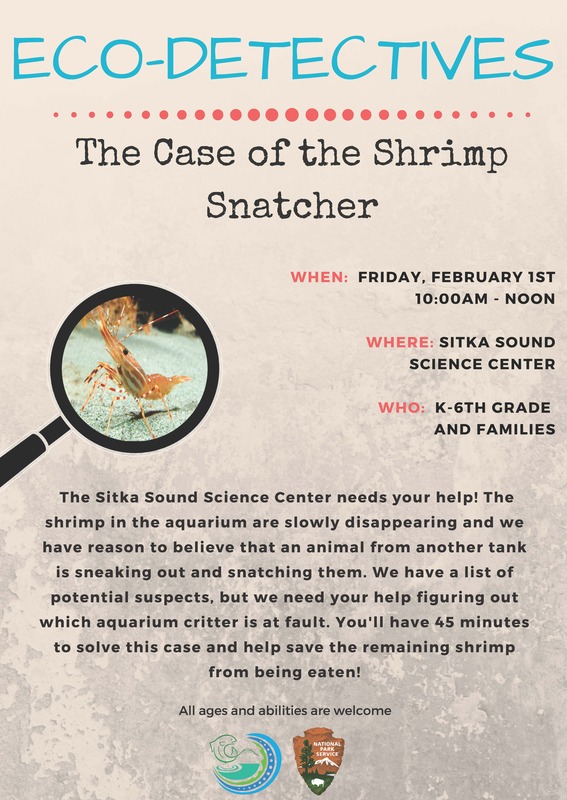 Students can help solve these cases by joining the fun from 10 a.m. to noon on Friday, Feb. 1, at the Sitka Sound Science Center (Note: this is a teacher in-service day, so no school). This month’s case is “The Case of the Shrimp Snatcher!” Students will help solve the mystery of which aquarium critter is snatching up all the shrimp. The Eco-Detectives series is hosted by the Sitka Sound Science Center and the Sitka National Historical Park. For more information about the Eco-Detectives series, contact Kristina Tirman at 747-8878 or ktirman@sitkascience.org. 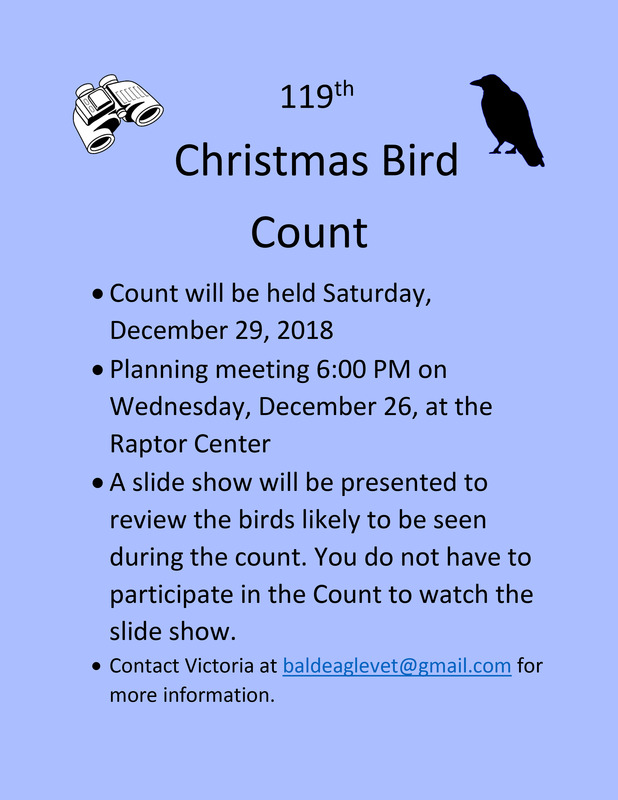 This year is the National Audubon Society‘s 119th annual Christmas Bird Count, and Sitka will be one of several Alaska communities to host a local event, with Sitka’s event set for Saturday, Dec. 29. During this event, local teams will hike around various sections of Sitka in an attempt to count as many different birds they can find. There will be a planning meeting at 6 p.m. on Wednesday, Dec. 26, at the Alaska Raptor Center. The Christmas Bird Count, which started nationally in 1900 with Alaska’s first event in 1941, involves thousands of bird-watchers, hikers, nature lovers and more each year. The count is for a 24-hour period and local events can take place from Dec. 14 to Jan. 5 this winter to still count. This event is open to all ages, and many families participate. Last year, on Dec. 30, 2017, in Sitka, there were 72 different bird species spotted by 57 Sitka participants. The most common bird seen was the dark-eyed junco, with 944 counted. They also counted 441 Pacific loons and 410 common ravens. You can find Sitka 2017 stats here. You can check out other 2017 stats (and 2018 stats) by clicking this link. In 2015-16, the Alaska Audubon Society reported 1,157 Alaska counters in 37 counting areas recorded 149 different species and 123,658 total birds. Kodiak’s Narrow Cape-Kalsin Bay recorded the most species in Alaska with 74, followed by Sitka with 68 (Alaska overall stats aren’t available for the 2016 or 2017 Christmas Bird Counts). For more information, contact Jen Cedarleaf at 738-0181 or Victoria Vosburg, DVM, at 738-8661.